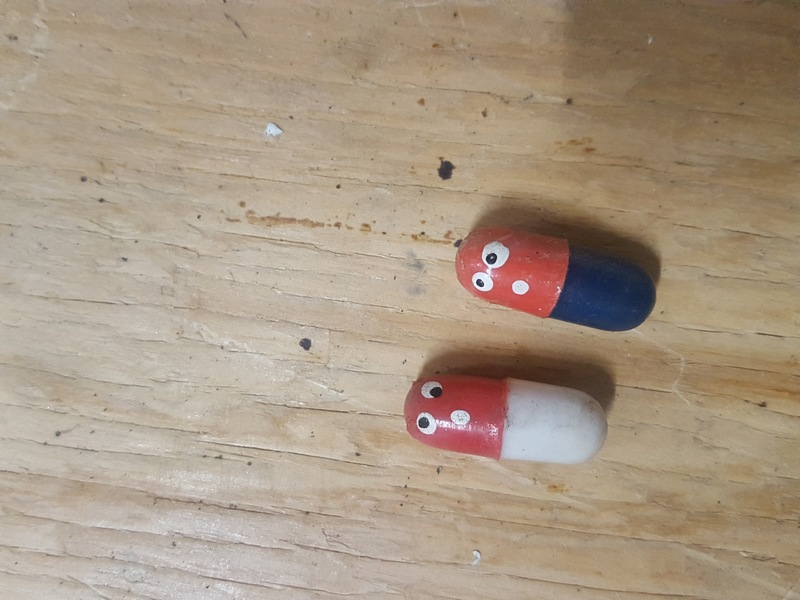 They are called “happy pills” and either contain a bead or a paper happy message - look at pininterest for a pix - old kids toy used in the days when kids knew “personal responsibility” and unlike kids these days wrapped in cotton wool and death/fear dumb. Its known as Mexican jumping beans & it also known as frijoles saltarines in Spanish. These inhabited by the larva of a small moth Cydia deshaisiana and are native to Mexico. The "bean" is usually tan to brown in color. They are from the shrub Sebastiania pavoniana & often also referred to as "jumping bean". Someone's presently selling those on eBay under vintage and antique toys as "Mexican Jumping Beans." There are three of the them in a plastic case and they're selling for $8.49 which includes free shipping.